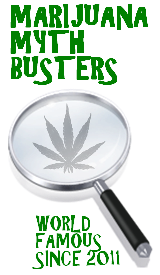 This entry was posted by Mythbuster on August 9, 2011 at 9:55 pm, and is filed under Pot Polls. Follow any responses to this post through RSS 2.0.You can leave a response or trackback from your own site. Binge drinking is prveon to destroy your liver slowly, even if only done once a month. If you overdo it enough, in ten years, you could be looking at problems. Also, drinking excessively can very easily turn into a physical addiction. Other things to think about: hangovers, vomiting, and possibly blacking out. And alcohol causes major weight gain (for those worried about that. )I would say marijuana is better because the lung damage wouldn’t be as extensive (especially if you are exposed to second-hand smoke anyway.) It’s also not physically addictive, and I’ve never heard of anyone blacking out, or doing something they really regret under the influence of marijuana (except on the anti-drug commercials lol). Just don’t drive with either!! Hiya, I am really glad I have found this info. Today bloggers publish only about gossip and net stuff and this is actually frustrating. A good website with interesting content, that’s what I need. Thanks for making this site, and I’ll be visiting again. Do you do newsletters? I Cant find it.